Chevak School | Engineering Design & Consulting, Inc.
EDC provided mechanical and electrical engineering for a new K-12 school in Chevak. The project included Administrative offices, gymnasium, general, science laboratory and metal and wood vocational education classrooms and a full commercial kitchen. The facility was connected to the community water supply and vacuum sewer collection systems and was served by a dedicated standby generator. 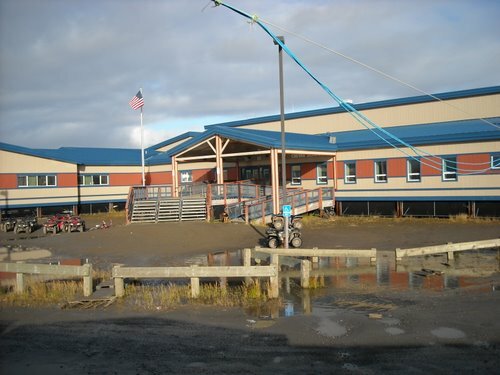 EDC also provided mechanical and electrical engineering for a separate administrative office building at the schools site.